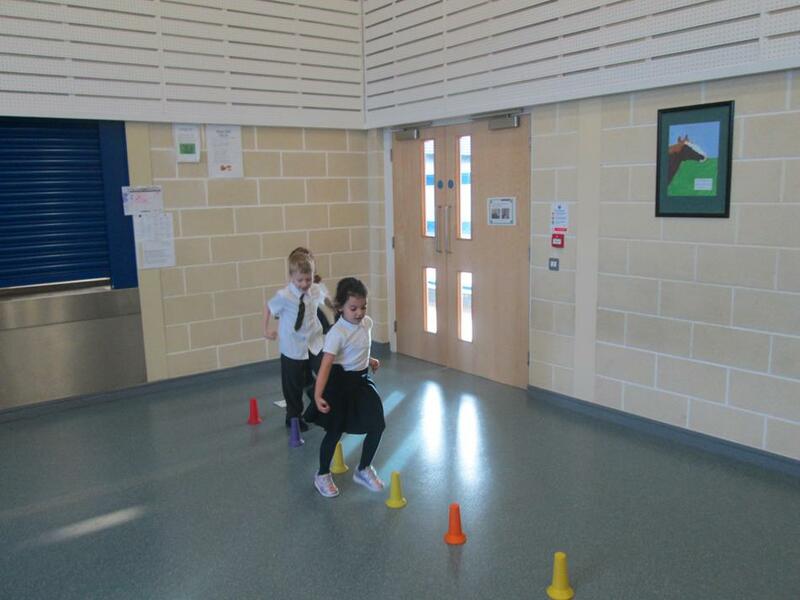 P2AF took to the P.E. 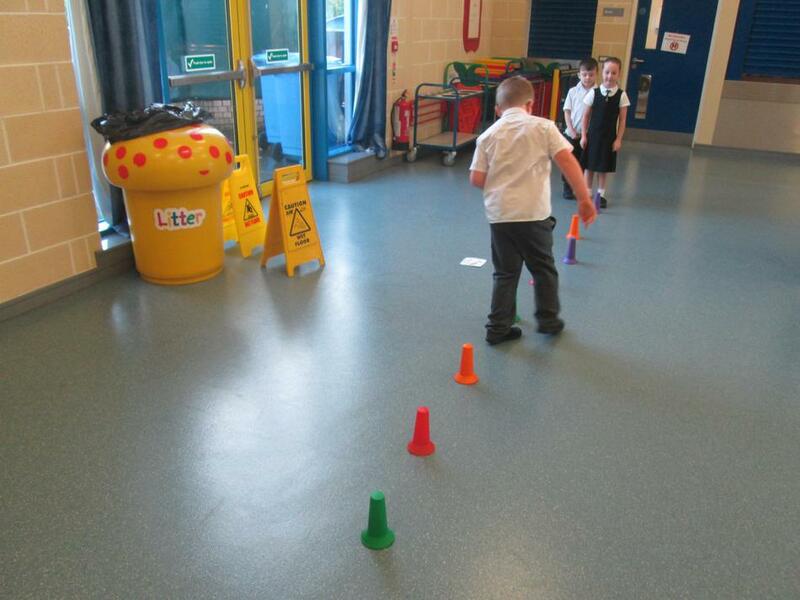 Hall for their maths week activities. 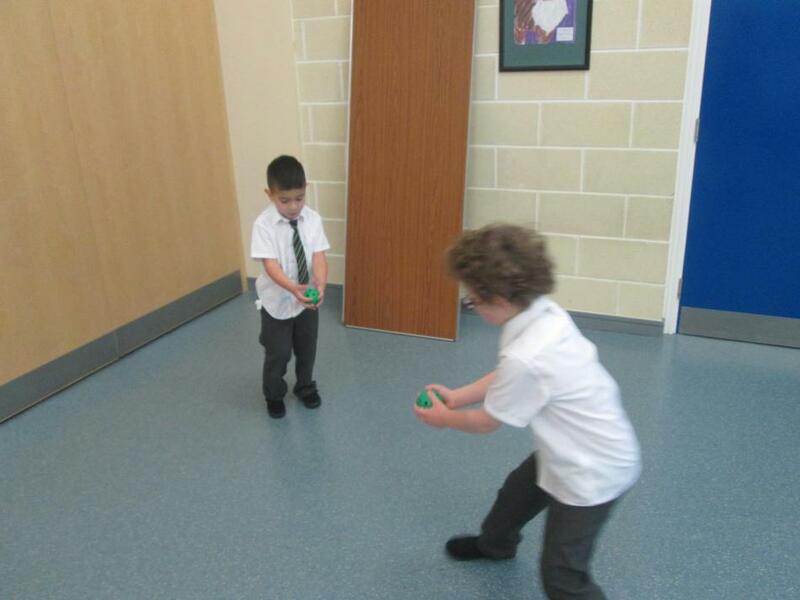 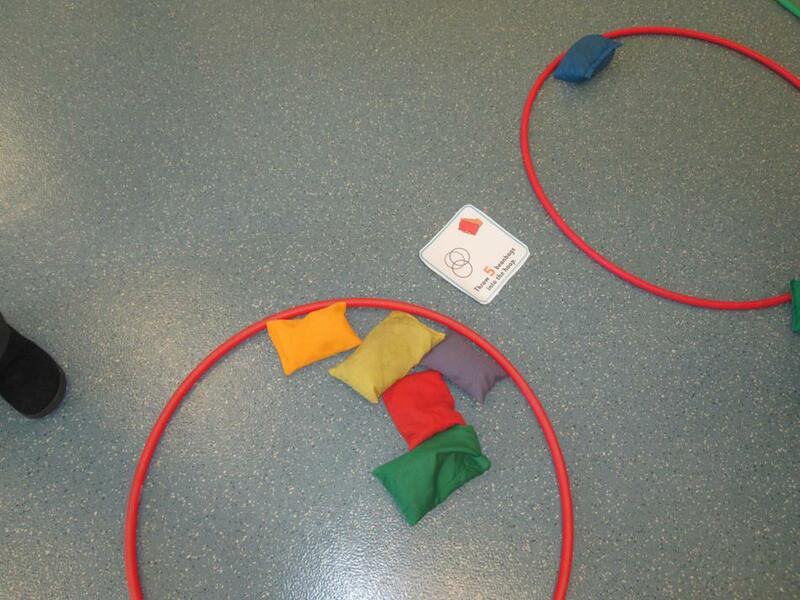 The children had to count their hoops, and how many times they could bounce a ball. 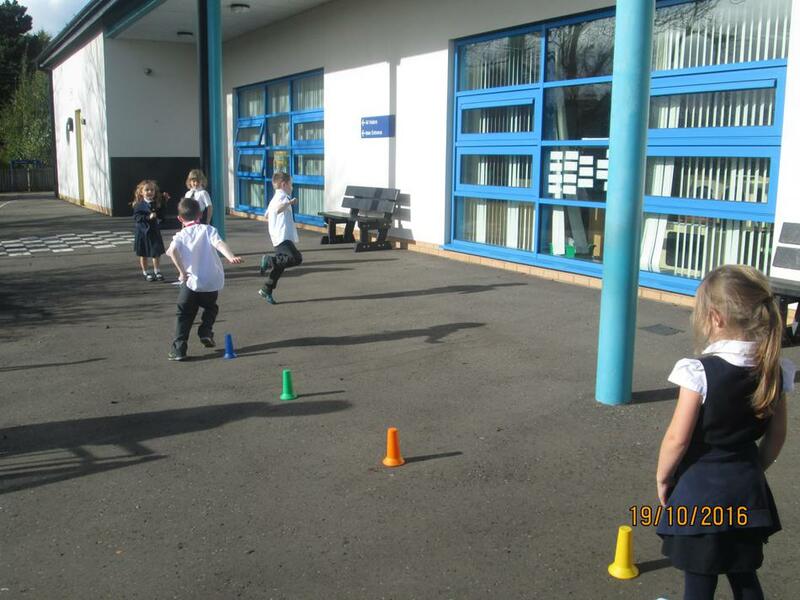 They ran through the cones 10 times and threw 5 beanbags into a hoop and then they did 10 star jumps . 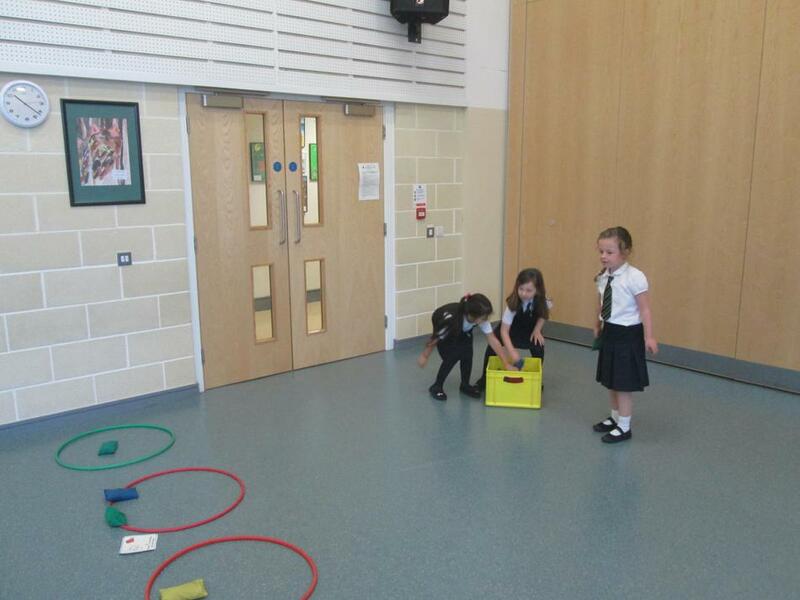 They enjoyed their energetic Maths! 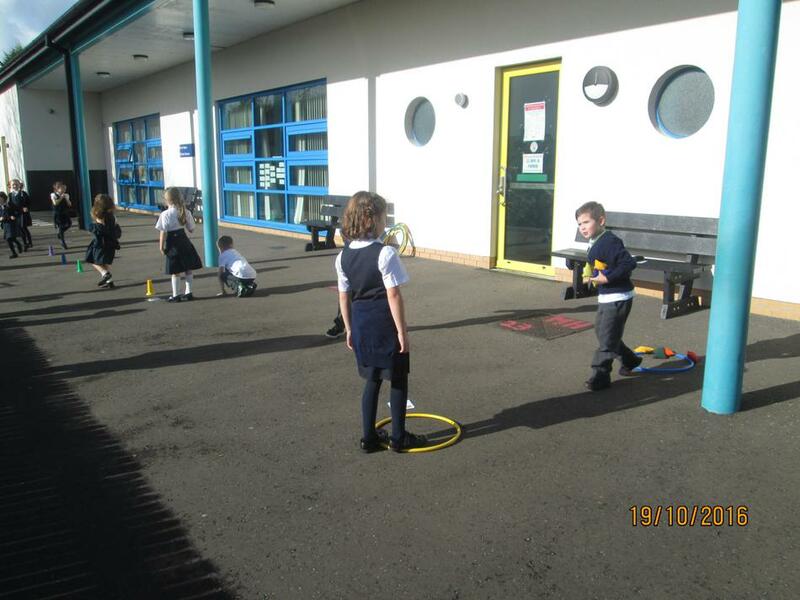 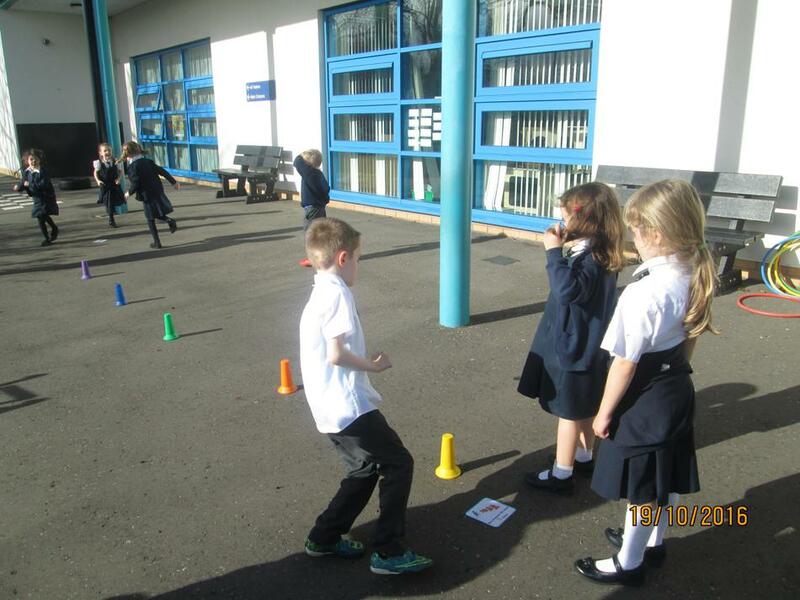 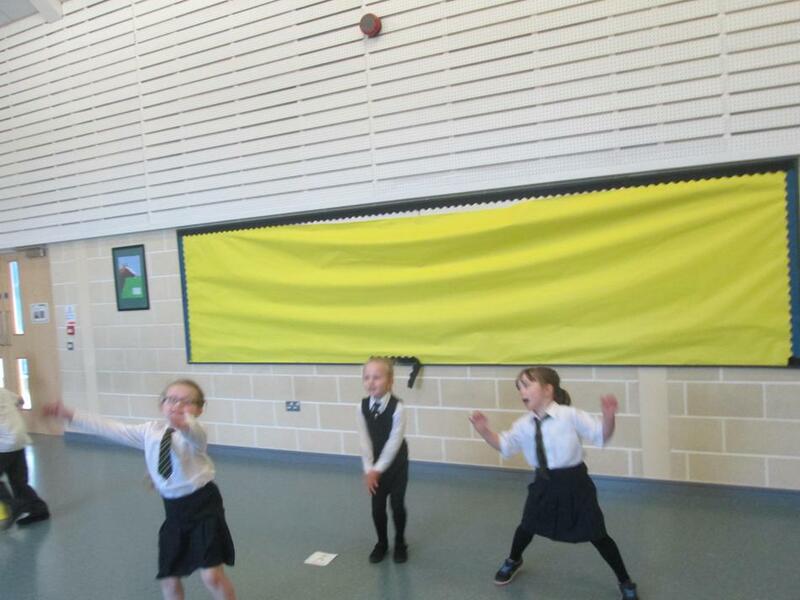 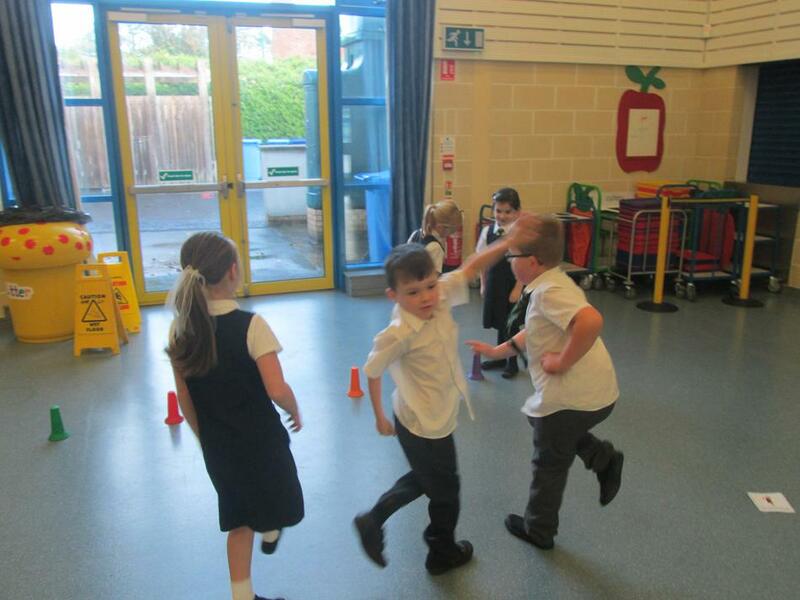 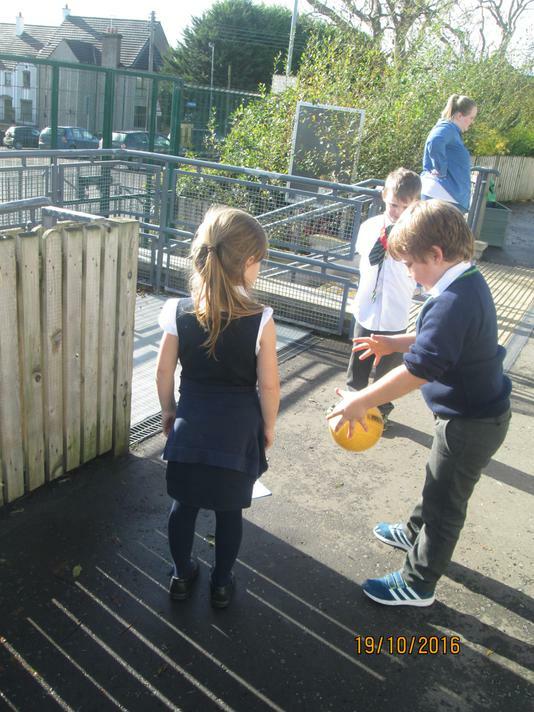 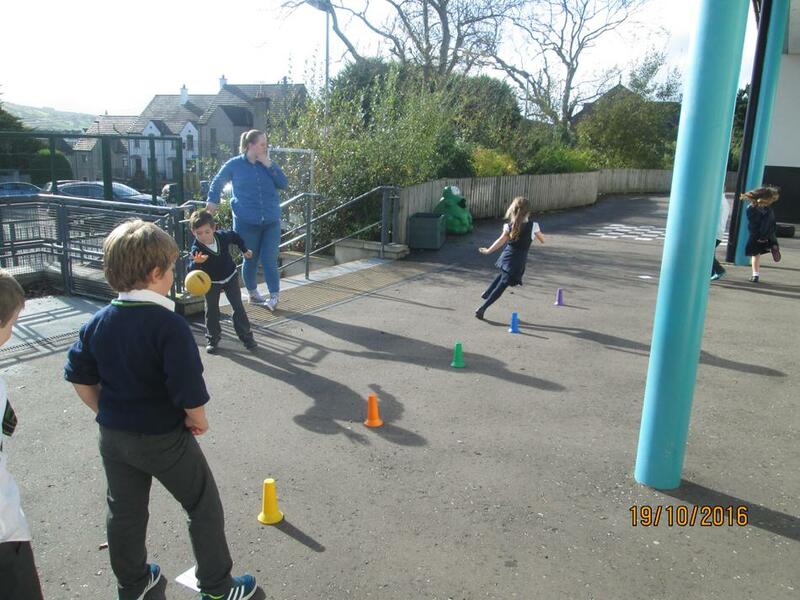 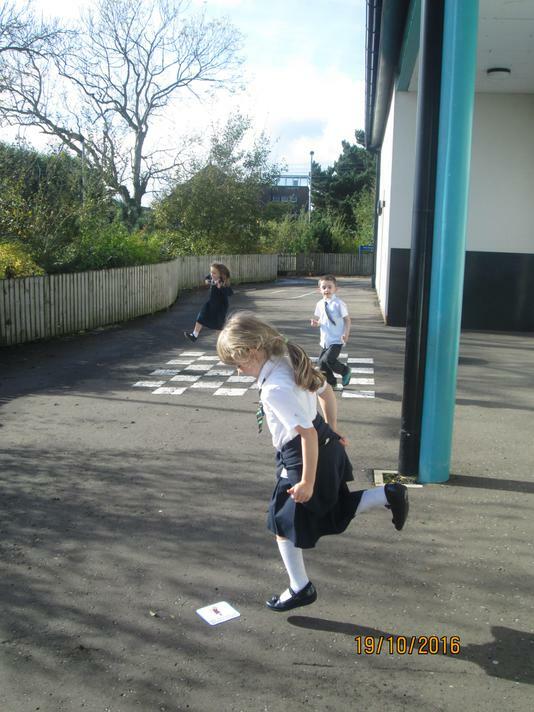 P2LK did these same activities out in the playground.